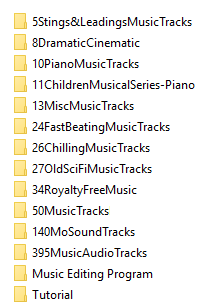 Over the past few years of video making I've collected hundreds of royalty free music tracks. Now you can benefit from my music hoarding. A really low price for a PILE of music! It probably comes as no surprise to you that video making is a HUGE and growing venture. In fact, it is currently the #1 way people are using to effectively get their message across. Most videomakers run into a big roadblock when producing their video. Video production has become relatively simple with all of the new video making software flooding the market, and with all of these new videos, there is a huge demand for music. 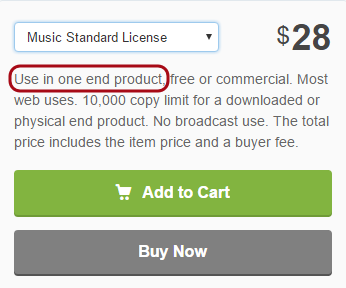 The problem is, finding royalty free music for commercial use is like searching for a needle in an internet haystack! Just look at what a SINGLE music track can cost! Listen below for just a tiny sampling of what is inside! PLUS... I have included a link to a professional FREE audio editing software AND a tutorial on how to use it to edit your music like a pro! I SPENT HUNDREDS OF DOLLARS FOR LICENSES FOR THIS MUSIC OVER THE YEARS, FOR THE RIGHTS TO USE IT COMMERCIALLY AND PASS ON THE RIGHTS IF I CHOSE. This license is for you if you are making videos for your own personal use. 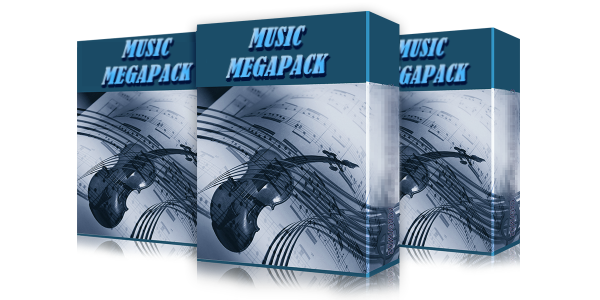 You may use the music tracks in any video you are making for yourself. This license is for you if you make videos for people other than yourself. You may use the music tracks in any video you make, including work you do for clients. Once the product is downloaded there are no refunds granted. Please make sure you want the product before you pay for it.